The terrain around Red Mountain Pass is like no other in the mountain west. Inspiring, remote, high, and beautiful – the mountains between Ouray and Silverton that can be accessed via Highway 550 are simply remarkable for outdoor enthusiasts of all types. In the Winter (November through April) ski touring is practically limitless with routes of all shapes and sizes available to explore. Mellow tree runs, high alpine bowls, couloirs, summits, and traverses. We have it all in the San Juans and Red Mountain Pass. The Red Mountain Alpine Lodge is situated at the top of the pass at 11,000′, surrounded and enveloped by tall, healthy spruce trees but only 300 yards from Highway 550. This means you can easily access both sides (East and West) of the highway for maximum skiing flexibility. Conditions and snow stability looking good for a ski descent of one the many 13,000′ peaks in the area? The lodge is positioned right at the base of the mountains and all you have to do is set the skin track to the top. Looking to sniff out some powder runs on some North facing trees? There are literally hundreds of acres of prime tree skiing right out our front door on both sides of highway 550. 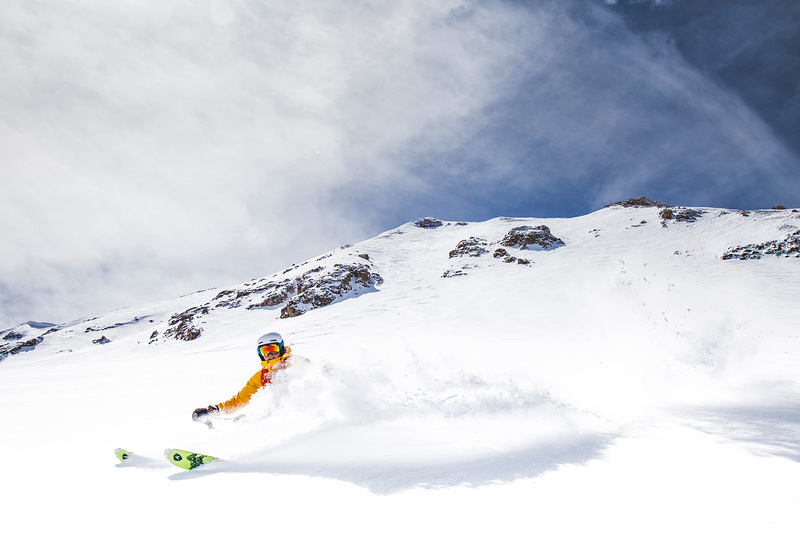 You simply cannot find better access to backcountry ski terrain in the mountain west, and here’s the best part – the terrain is so vast and the tours so many that there is ALWAYS a fresh line and untouched powder to ski. Red Mountain Pass receives over 300″ of snow per year and is one of the most reliable and deepest annual snowpacks in Colorado. Consistent storms, low moisture content, and complex layering typify the conditions in this part of the range. 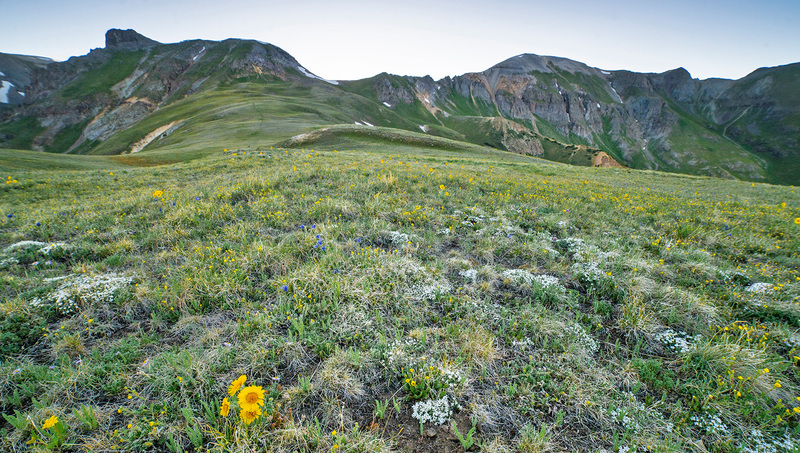 Summer on Red Mountain Pass is incredible when juxtaposed to our long cold winters. As April fades into May, the change of the seasons finally comes to the high alpine in the San Juan Mountains. The Summer (June – October) truly starts when the snow finally starts to melt on the roads and trails of the area. The transformation is truly something to witness as the weather in the months of June and July is fantastic with long days and true Colorado blue skies under which to recreate.